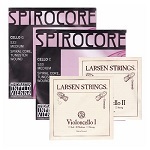 The Perfected Set: Extremely well balanced set for the professional cellist offering a charismatic sound with an endless palette of colours to work with. 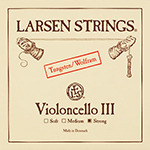 We have added a lovely edge to the sound, nice & bright so it carries but still with the famous Larsen roundness. 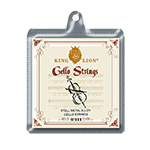 These strings offer many sound colours, from bright to dark, combined with a new clarity and brilliance - a truly singing sound. Soloist Edition strings from Larsen are wonderfully voiced for brilliance and projection. 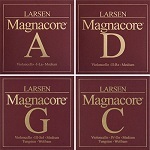 Tungsten and nickel wound on a wire core. Designed to emulate the response of a gut string! 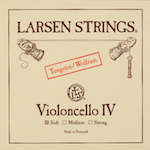 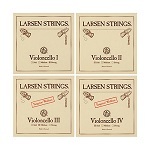 These newest strings from Larsen achieve brilliance and depth of voice, clarity and immediate response.